One in four Americans believes "most or all" of what's said on Fox News, despite Fox's fabrication of everything from death panels to Climategate. Consider the facts: more than twice as many Americans watch Fox News as watch CNN, the next most popular cable news channel, and almost five times as many as watch MSNBC. Fox's audience cuts across age, gender, race, education, and income level. The average Fox News viewer is a male between the ages of 30 to 49 -- far from most people's perception that mostly seniors watch Fox. So where Seddon pointed to a fabled minority audience of "not-so-bright … American citizens", Fox is instead popular among a wide swath of well-educated, contributing members of society. Fox's audience includes your neighbour, your cousin and the guy in front of you in line every morning at Starbucks. Fox News' approach to these issues has, among other things, limited genuine debate about the merits of healthcare policy, forcing elected representatives to spend time insisting to their constituents that the president of the United States does not want to kill their grandmothers. The claims are so outrageous that they would be funny -- if they didn't have real impact on people's lives. By encouraging people to attend local rallies and providing incessant coverage of town halls around the healthcare bill, Fox lent structure and legitimacy to what might have otherwise been a brief episode of "tax day" anger. And as far as the 2010 midterms are concerned, both the Tea Party movement and Fox News deserve credit for the Republican sweep of the nation. What's sinister here is not the change of power -- the response of an unsatisfied American populace is, indeed, "vote another guy in" -- but the very deliberate manufacturing of that change by a force masquerading as a reputable news outlet. The UK is currently faced with the prospect of full News Corp ownership of BSkyB. As political and opinion leaders think through what this would mean for their country, they should carefully consider not only Fox's worst instances of propagandising, but also the potential British audience for such misinformation. And, most likely, they need look no further than their flatmate. Seddon warns in Tribune that "America needs to wake up before people like Beck and his ilk has it by the throat." Let me end here with a counter-admonition: the UK needs to wake up before Murdoch and his corporation have the media -- and, by extension, British citizens -- even more in the palm of his hand than he already does. Durrr, American ain't a democracy, it's a republic, durrr. Okay, sorry, just had to post that before somebody else did. It's just something that I have discovered Beck followers like to spout off whenever anybody says anything of democracy, they just can't seem to get the idea that it is a democratic republic, but I digress. What I love about the defence of Fox's extreme biased outlook, is that when pointed out, most people fall back on the concept that other networks are just as misleading or anti-conservative, or pro-liberal, or pro-progressive(lol). You brought up an excellent point about Fox's differing positions of protests. I think to protest the government under G.W.Bush, you were labeled as a terrorist sympathizer, yet it all changed when Obama came to office. Yet, the Tea Party protesters don't seem to realize this. I do find it amusing that they have taken up the name "Tea Party", from my experience, "Tea Parties" are just a group of little children pretending to be grown ups. It somehow fits the protesters, okay now I'm being overly biased and un-objective, but at least I don't claim it to be factual news. Chris, I didn't write this, and I would have stated it more like I just commented on Glenn Beck dot com: "If Beck wants to discuss "cow farts," he should get a job on a comedy show. 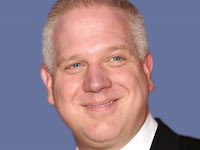 Beck on Fox is proof that Fox is not to be taken seriously. On Fox, he threatens American democratic order." Many people, including presidents, refer to American democracy; but yes, it's a democratic republic. We agree about that basic concept. We also agree about the Tea Party. They have childish ideas about governance and the budget. We need deficit reduction, but the slash and burn approach being taken will only serve to undermine the recovery from the great recession. That is probably exactly what they want since that would anger voters and cause those unaware of what they have been doing since Obama was elected to vote Obama out of office in 2012. I don't know if you're being "overly biased" since G. Will just wrote on op=ed piece in WaPo stating basically the same thing about presidential hopefuls.